With the beer festival over, Erlangen is back to its quiet self.We saw a different side of the normally formal Deutsch during these 12 days of celebration.I visited the fest once, but was not very keen to go again. 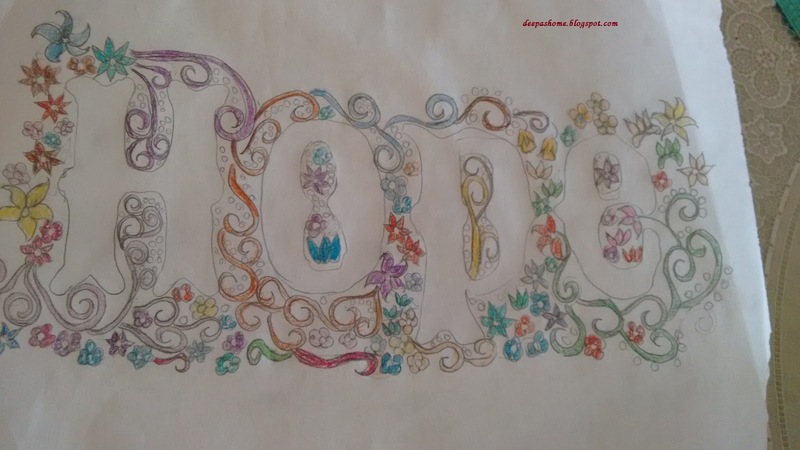 During the past couple of weeks, while working on "Hope" , I spent more time unpicking than stitching.My daughter would often find me standing motionless in front of the embroidery staring at it. When this repeated for some days ,she said- "Ma, if that was given to me I wouldn't have bothered about color combinations and would've just used whatever I felt like. But it would still be beautiful for me because I used the colors I wanted to. You adults ( her exact words) think too much.Just pick a color and stitch." 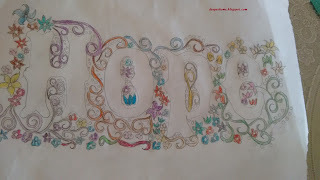 She contributed her own interpretation of "Hope" on paper.. Sometimes, I just look at her sketch for inspiration. In fact some of the twirls are her idea. Well, the gyan (wisdom) she imparted me was good, but can old habits be killed so quickly? Anyway, I continue my statue posture, but not when she's around [big grin]. Most of the flowers added to hope are single stitch flowers - those that do not need any specific pattern. 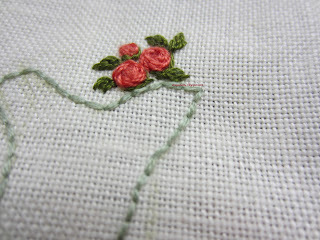 After straight stitch and lazy daisy, I wanted to add my stem stitch roses - a favorite of mine. And I did. They looked pretty enough, but out of place..
And I unpicked them. 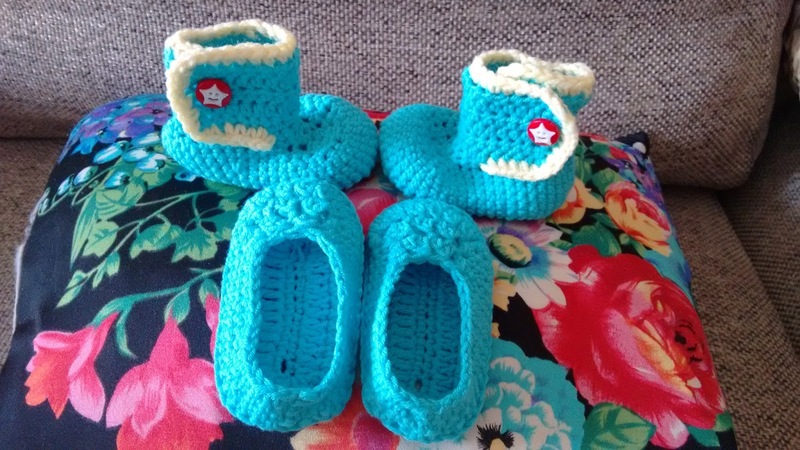 But I'll add them for sure, may be in a different color. I then proceeded to add these.. 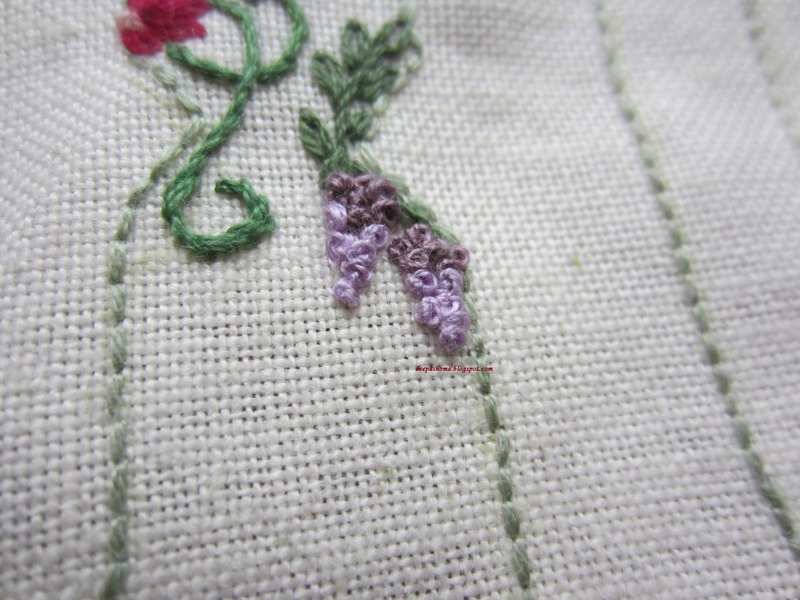 Hanging flowers with simple french knots and two strands of two different colors. While I was stitching them up,DH send me a pic he had clicked just a few blocks away. 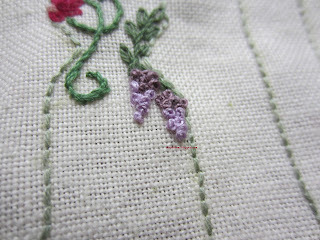 Here it is..
Just before writing this, I finished adding another set of flowers with blanket stitch. I am not sure why, but I wanted blue flowers. I tried the dark blue, but again it stood out .Then I mixed it up with a lighter shade.It looks better ,but is not the best when seen overall. 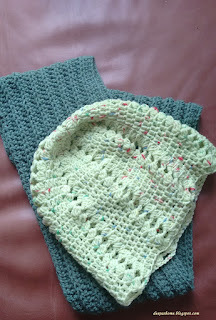 Let me now add the roses and come back to you..
And oh yes, I crocheted too..
Scarves and beanies are always needed.. Some projects are a little tricksy and don't tell you promptly what they want. But I do think you are doing well with "Hope"! I often find myself reverse stitching something I've done because it doesn't sit well with me, so I understand what you're going through. The little glimpses I see of 'Hope' look great. words of wisdom from your daughter, good to see this is progressing I am loving what I see you have a great eye for placement and design. Crochet looks good too, glad all is quiet now following the beer festival! Good to know that you are slowly settling into the new country..new home..May you get so many new friends and this make your life more richer with new experiences.. 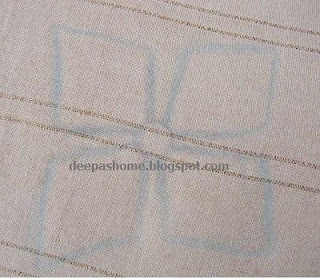 It has been a while since I visited your blog and glad to see your new project shaping up. 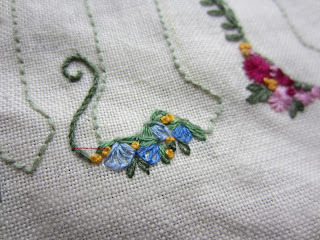 Loved your two shaded bullions and the hanging flowers with french knots. Looks very lovely..Looking forward to its progress.. 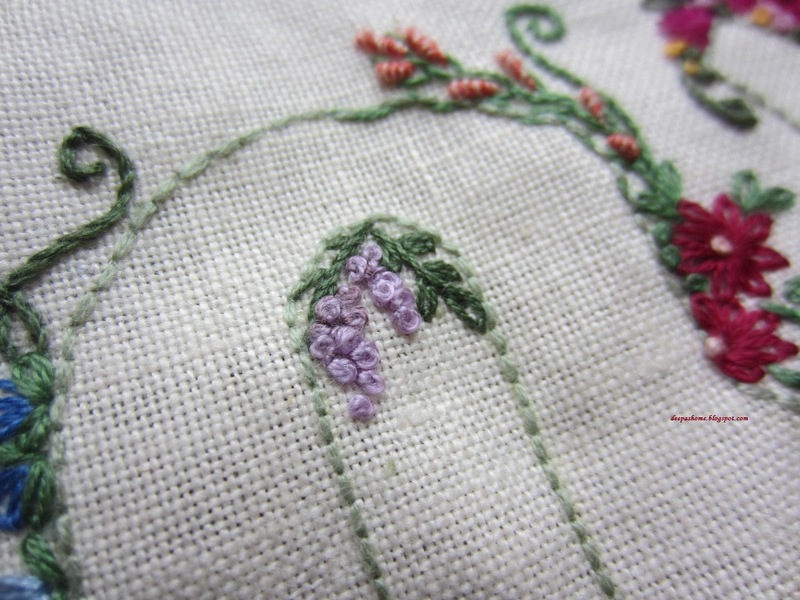 Your stitching is lovely. Perfectionist can NEVER leave unfixed what they think is not correct. The fact that your husband sent you that picture says a lot about him. You are so lucky, as I am as well, mine does that kind of thing too. Your embroidery is really pretty. I like seeing "Hope" coming along. Just like your clever daughter advised, don't overthink it. 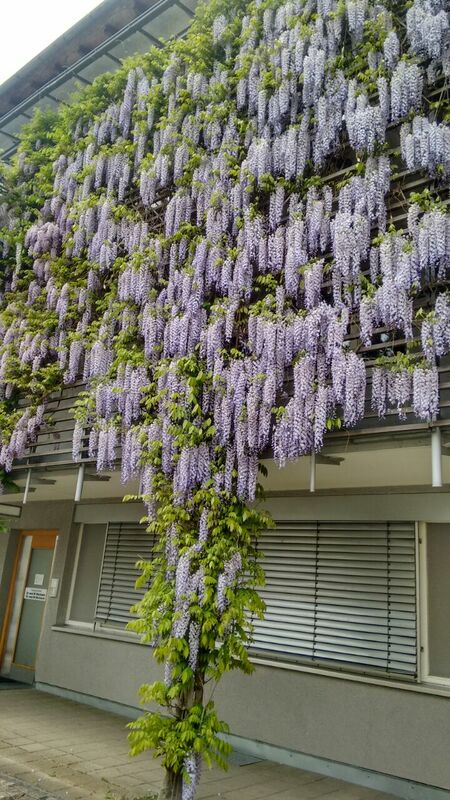 The colours are absolutely wonderful. Good luck finding your space in a country so very different from your own. It can't be easy, but as you seem to be a very levelheaded woman, I am sure you will soon find your own space. Your daughter is one smart kid! 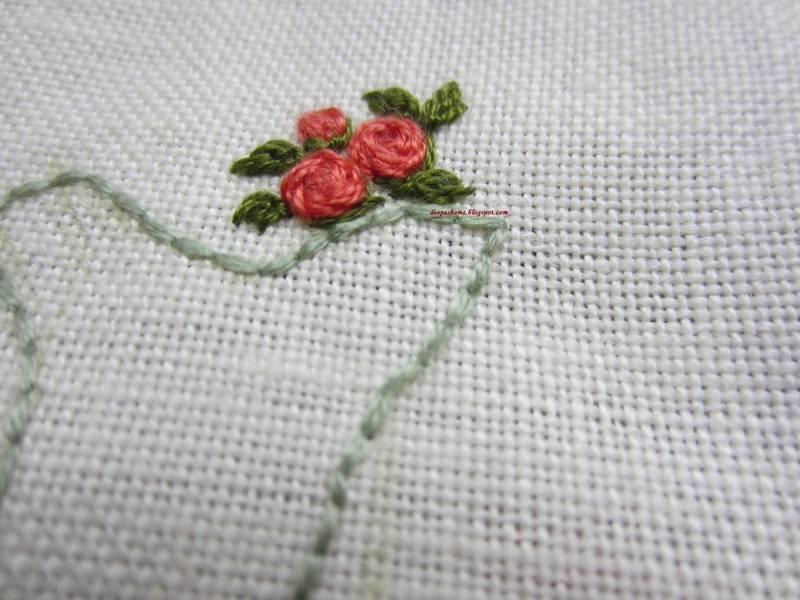 Actually I thought the stem-stitch rose looked pretty good . . . if a color doesn't work on its own, add another flower next to it . 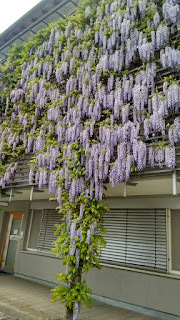 . . and I LOVE the wisteria - it's one of my favorite flowers. hoping hope brings hope :) your daughter seems to be very wise. What a great sketch your daughter made, it is well balanced and has a richness, yet a freshness, that would make a great embroidery. I love seeing how you proceed,bit by bit. You will end up with a work of art. deepaye.. when did you move to germany? we are in UK past 1 year.